Do we need a product website? 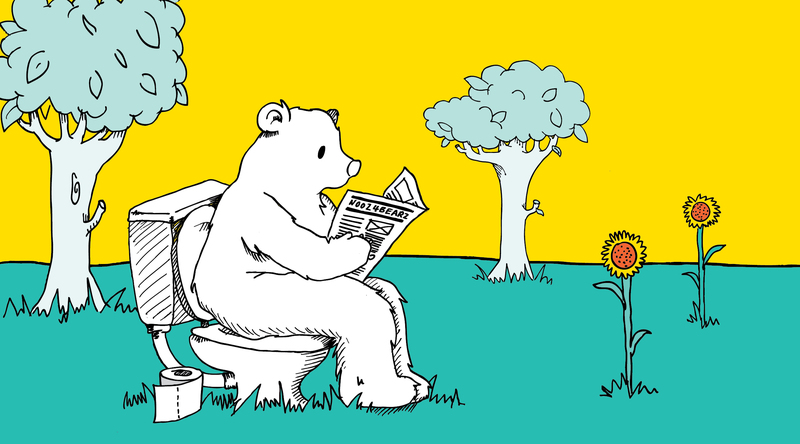 We’re easily distracted by too many options. For any given unique proposition, we’re going to need to cover off: Why this product is awesome, and what does it say about me. What it will really mean to me (the benefits). What it will actually do for me (the features). What it costs me (including any pricing options). How to buy it (and what happens next). That’s a lot of information, comprehension and persuasion. The point is that it’s not always wise to blur the lines with “oh… and we also have another set of products you just might be interested in”, and hence the consideration of a product website. From a communications point of view; simple, singular propositions result in more effective customer engagement and acquisition. So there’s no reason not to focus on the customer first and foremost. Let’s take a look at a leading car brand: Volkswagen. If you’re looking for a job, have a gripe about their environmental responsibility, need to find a dealer who might help you decide which model to purchase, or otherwise want the general company overview, you’re best bet is www.volkswagen.com, or if you own a small business, www.volkswagen-vans.co.uk. And then, Volkswagen build this little number called ‘The Beetle’. Most importantly regards this discussion is that the car is designed for a very specific type of consumer. We know who they are. Volkswagen know who they are, there’s science in there from the shape of the bodywork through to the way its personality is communicated. 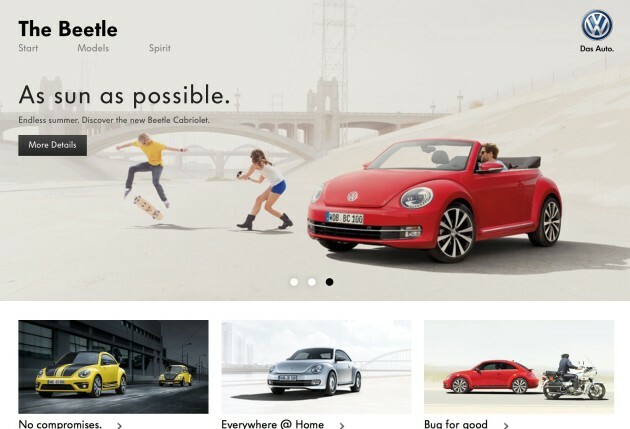 Enter the need for a product website that understands the buying motivations of the target consumer, tells the product story in a way that resonates with them, and keeps them engaged with all that lifestyle ideology: www.beetle.com. We’re not talking about building mobile apps on a whim or hours spent spluttering on social media with no clear objectives in mind here. There are a wealth of credible examples of product websites having strategic, creative and commercial objectives. 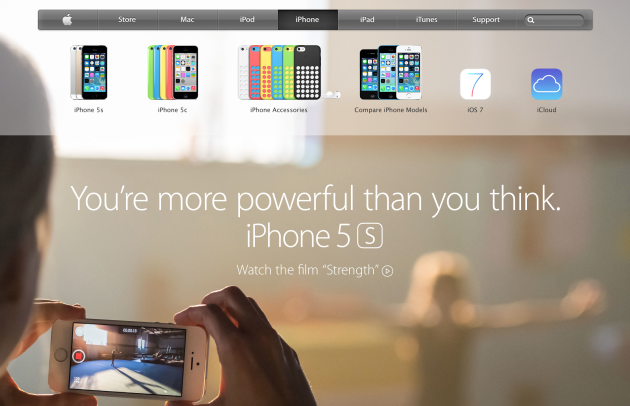 The iPhone section on apple.com looks like a product website. Acts like one too. However, if you’re in the market for an iPhone, you’re likely somewhat religious and on some level willing to buy into a MacBook Air and and an iPad to boot. In essence, Apple has created micro-sites within their core site that focus our attention on the product (together with all associated options and accessories) while allowing easy access to other products. This mirrors the universal appeal of their product set. 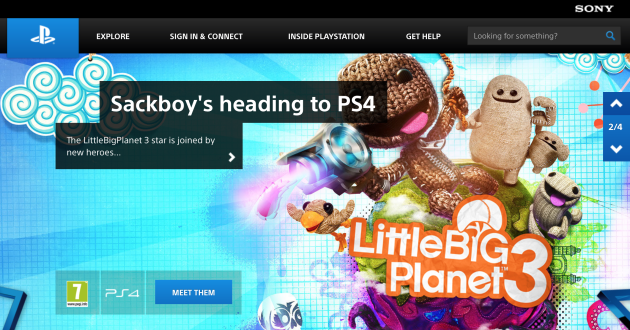 There’s a clear distinction between the way Sony and Apple present their products to us online. 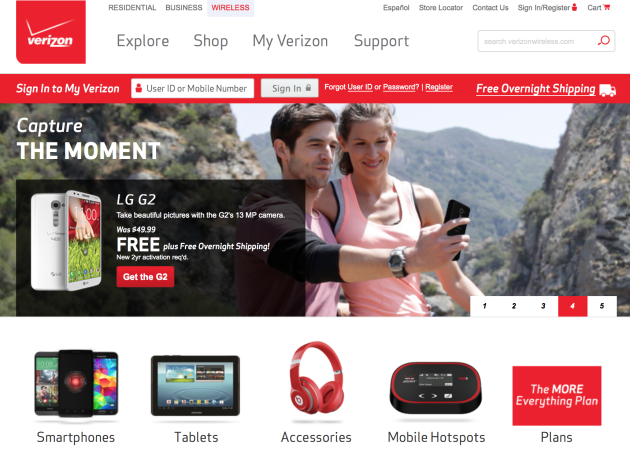 The USA communications giant Verizon has separated its mobile business from the core website housing residential and commercial TV and fixed-broadband services. Regards the mobile offering, it needs to appeal to a youth and NetGen audience who will be ‘mobile first’ brand entrants. More importantly, perhaps, is the vast array of options available to a consumer as a mobile customer; think prepay vs. postpay, devices (phones/tablets et al), services such as mobile broadband, accessories, customer support, account log-in and payment/top-up. Suddenly, attempting to contain this within a core website with other products fighting for attention throws up comprehension issues. From a branding perspective, little changes on what is in essence a product website; with the exception of the URL itself. In fact, the website is integrated (as per Apple) into the wider experience, again suggesting that Verizon fixed broadband customers are likely to be open to mobile products too. However, all ‘support’ channels, for example, are focused on the mobile offering. Better user experience, better brand control. For a likely number of reasons, Microsoft-owned Skype is actually a product website. OK, so it started off as a totally separate entity, but interesting to view how it now sits within the wider Microsoft offering. In fact, you might consider that Skype acts to give credibility to other Microsoft products in it’s footer; for those who care to scroll that far. The point is that the Microsoft logo isn’t up there in flashing lights for a reason, and that again comes down to understanding the audience. And then there’s the strategic use of product websites in a B2B context. 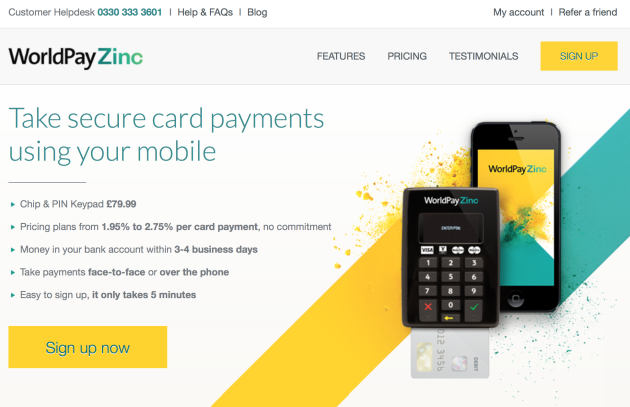 WorldPay is a leading provider of electronic and online payment facilities. Their product range covers all sizes of customer from SME through to leading multinational organisations, including airlines. Big business. Too big for me and my company? Probably. And that is why there is a ‘separate’ product. WorldPay Zinc allows anyone from the local plumber to a 3-chain restaurant to take mobile payments easily with simple set-up. It’s a proposition for a unique type of smaller business user so the product website has none of the scary stuff associated with large-scale industry ecommerce, and with the main (very corporate) website removed from all mention. 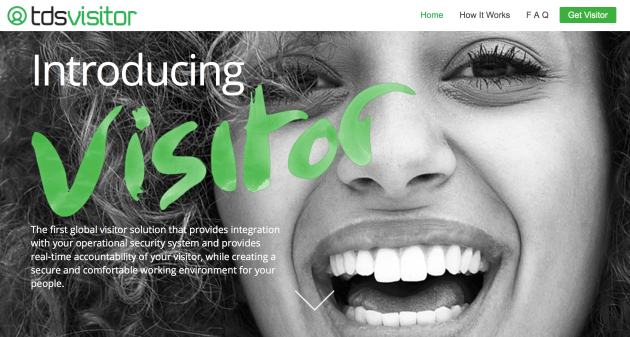 We developed a product website for ‘tdsvisitor’, a visitor management solution that now has a global reach, with companies such as Google using the platform in 52 countries. Other multinational organisations are now showing interest. Our role as their design and branding agency was give ‘tdsvisitor’ it’s own hero brand that would better represent the tdsvisitor solution as a stand-alone product. Accordingly, our strategy involved developing a focused product website (tdsvisitor.com) that presents only the absolute information required for facilities to understand and consider the product without the distraction of other products in the tds armoury. Like with Sony and WorldPay, we only reference the tds core brand because, regards the end-user’s agenda, understanding the company’s rich foundation and heritage in the facilities security industry is actually secondary to “what is this specific product and what will it do for me”. That’s the hook. The rest is a process of due diligence through which the history of tds may or may not be an influential factor for the purchaser. View the tdsvisitor product branding case study here. So what about technical issues related to product websites? Frankly, all issues surrounding the number of web properties any one organisation should have is a matter of strategy from both branding and commercial perspectives. There is no denying that things changed and end-users now demand relevancy and far more engaging experiences online. In a world where competing for customer attention and time are arguably the key barriers, gone are the days when a ‘microsite’ would confuse the wider brand proposition in the digital space. For many organisations with diversifying portfolios, product websites are now a prerequisite. Once carefully considered and constructed with the end-user in mind, it’s actually relatively straight forward to understand how multiple website properties are positioned in the wider digital footprint, how they communicate with target consumer groups, and what relationship they have with one another – and that includes technical aspects such as search engine optimisation and multiple marketing/data touch-points.